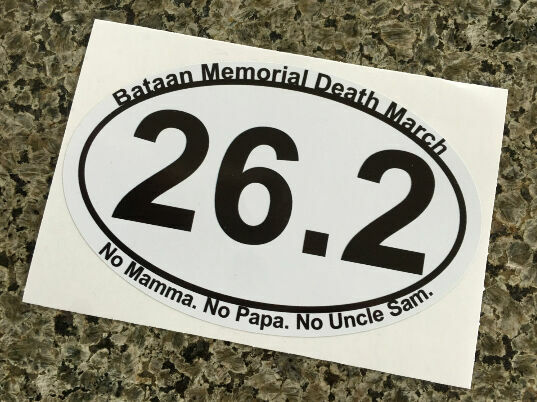 Seller: albuquerque-sales (653) 98.5%, Location: Albuquerque, New Mexico, Ships to: US, Item: 123073278804 6 - Bataan Memorial Marathon Death March Sticker Did you or your friend compete, struggle, fight and battle your way through the Bataan Memorial Death March? Why not show others that they too can compete and succeed in one of the toughest marathons on the planet? - No Mamma. No papa. No Uncle Sam. This sticker is CMYK printed and is 5" x 3.3". This sticker comes in larger sizes, as well. Popularity - 630 views, 1.7 views per day, 376 days on eBay. Super high amount of views. 21 sold, 85 available. 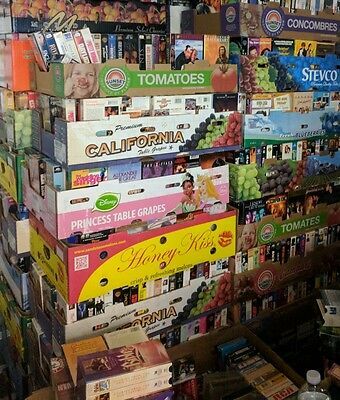 630 views, 1.7 views per day, 376 days on eBay. Super high amount of views. 21 sold, 85 available. Seller - 653+ items sold. 1.5% negative feedback. Top-Rated Seller! Ships on time with tracking, 0 problems with past sales. 653+ items sold. 1.5% negative feedback. Top-Rated Seller! Ships on time with tracking, 0 problems with past sales.